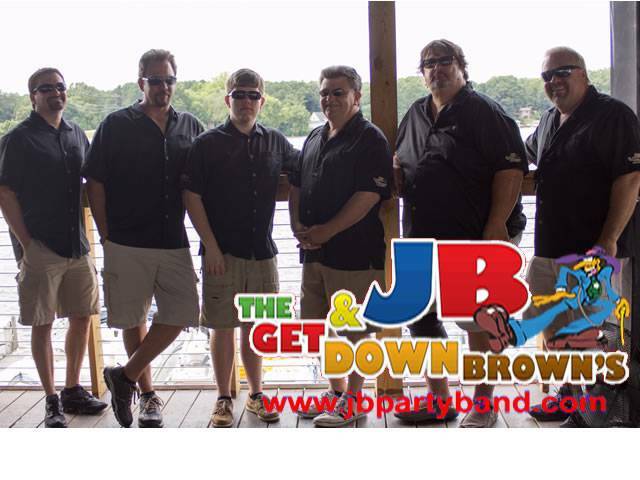 We are excited to welcome JB & The Get Down Browns to the Rosemont stage to say “Hello” to Summer! Get ready to hear their selections of R&B, Blues, Classic Rock and a touch of Beach music, it’s guaranteed to be a great time and a perfect way to kick off your summer! Bring your lawn chairs, blankets, friends and family and join us for a fantastic night of music, wine, food, and fun! As always, you are also welcome to bring your own picnic as well – just please no outside alcohol as our ABC Permit does not allow for it. As before, we will be joined by Buggs Island Brewing who will have some of their amazing craft beers on tap! For 2019 we will be offering Season Passes which will get you into all three of our Summer Concerts! Purchase your tickets in advance and save big with a ticket that’s good for the entire Summer. Tickets are non-transferable and the primary ticket holder MUST be in attendance at each event to validate passes. All ticket sales are final – no refunds will be made available. The show is rain or shine! Includes concert admission and a souvenir glass. Children 10 and under are FREE! Purchase your tickets by 6:00 pm on Wednesday, May 22nd, to receive 20% off this concert’s ticket. Discounts to do NOT apply to season passes. Friday, July 5th – Feature Attraction Band & Firework Show Over the Vineyard!